A truly versatile product with a huge variety of sizes, formats and surface textures, our Melbourne Bluestone pavers are all volcanic stones that have formed and hardened over millions of years. These pavers are extremely dense and hard-wearing, which makes this natural stone a genuine choice for use in the most vigorous applications. 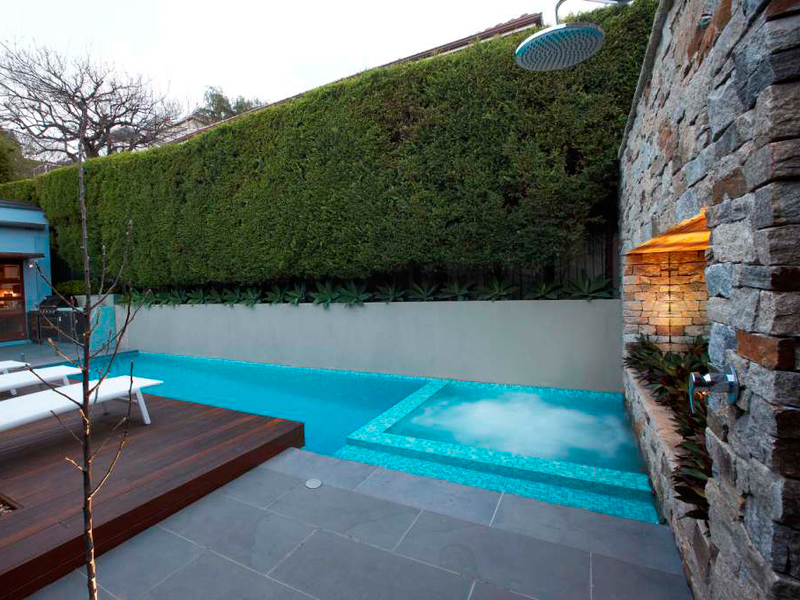 We offer our natural Melbourne Bluestone pavers in multiple sizes, formats and surface textures, providing a high degree of paver customization, including an extensive range of pool coping bullnose, square edge and rebated units. Consider an organic Melbourne Bluestone stepper for the pathway to allow planting between the stones, a sawn surface paver externally to ensure a non-slip finish and then carry through the same size internally in a honed finish Melbourne Bluestone tile, ending in a soft feel underfoot. Melbourne Bluestone is also available in cobblestones – perfect for path and driveway applications, crazy paving, traditional format wall cladding and more. Outstanding from the smallest city terrace or courtyard design to the most sophisticated large-scale commercial build. Browse the Melbourne Bluestone image gallery for examples of how our pavers, tiles and cobblestones have been used in a diverse selection of architectural and landscape designs. Eco Outdoor has an extensive range of bluestone wall tiles and pavers. Whether you’re looking to replace your old brick paving with bluestone tiles or another natural stone tile or if you’re just looking for new patio pavers, you’ll find exceptional outdoor design ideas at Eco Outdoor. We’ve hand-picked a select range of granite pavers, concrete pavers and patio paving stone especially for you. If you’re looking for new driveway paving, bathroom tile inspiration or the perfect kitchen tile, visit one of our design showrooms today. Be it a travertine tile floor or an organic slate tile, when it comes to natural stone tile, we’ve got everything you need at Eco Outdoor. Eco Outdoor is the preferred Melbourne bluestone paver supplier for those looking for great design flexibility and a high level of customization in both residential and commercial Melbourne bluestone paving projects.